Faux Fur Cushions – effortless style at affordable prices. 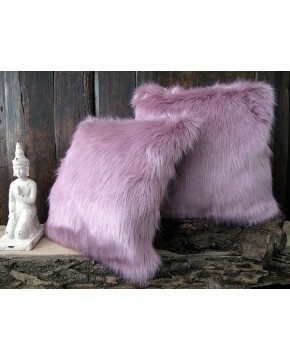 Add colour and texture to your home furnishings with our luxurious range of faux fur cushions. 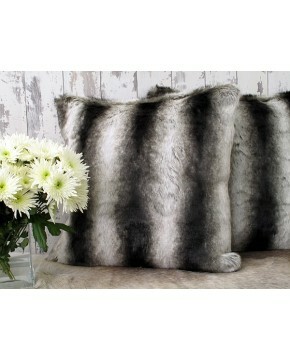 Fur cushions are so versatile and can freshen up your home’s colour scheme to provide style, regardless of your budget. We are certain that your faux fur cushion will be virtually indistinguishable from the real thing. Made from the same material as our top quality range of faux fur throws, and available in the most common size of 18” x 18” (45 x 45cm), we now also offer a 24” x 24” (60 x 60cm) option too. As with all our products, every fur cushion we sell is handmade by our dedicated design team and comes with a bespoke size option to fit every need. Just contact us today and we’ll send you a quote for any size you wish. Faux fur is a fantastic, humane alternative to real furs and with our top quality finishings you’d be hard pressed to tell the difference. 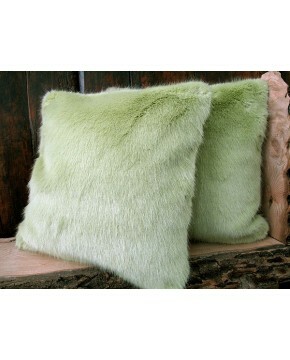 We also sell faux fur cushion covers to instantly transform your existing cushions creating stylish room décor. Our faux fur cushions come in a spectacular range of visual styles including Gold Brown Chinchilla, Black Wolf and Badger; Mink, White Polar Bear and Grey Squirrel. And all completely guilt free! Give your home furnishing scheme a spruce-up with our stylish faux fur cushion range today. The medium length faux fur cushion covers that we manufacture and offer for sale cover plain and patterned designs. Some are striped, some animal print, and some completely plain. Whatever your choice they represent excellent value for money and are some of the most luxurious faux fur cushions and pillows you will find anywhere. 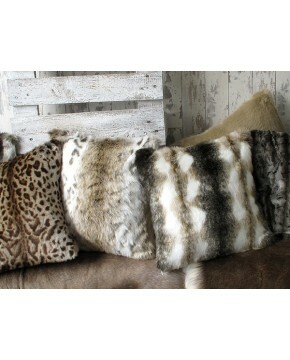 Dense fur make this group of fur cushions not only very warm, but stylish and sheer luxury. Brighten up your decor with a few faux fur cushions; they add texture, style and luxury to any interior. Polyester cushion pad to fit 18" (45cm) cushion covers. Price is for 1 inner pad. Polyester cushion pad to fit 18" (45cm) cushion covers. Price is for 1 inner pad.